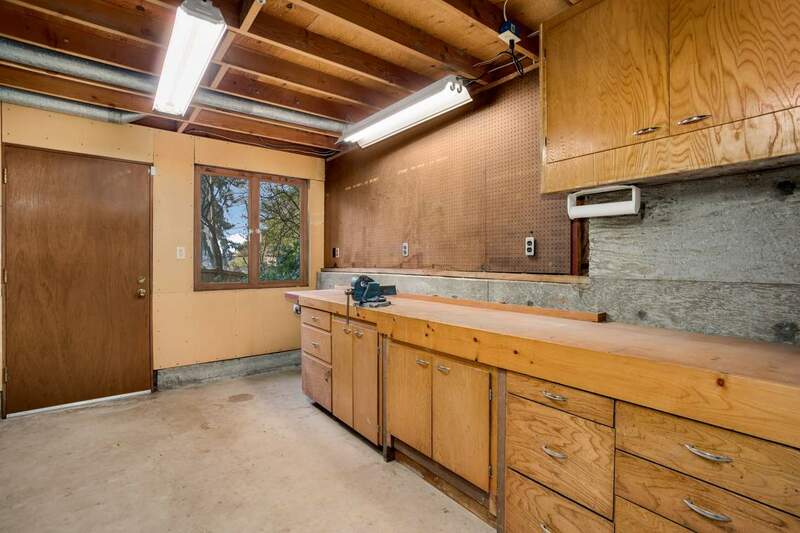 First time on the market in nearly 50 years! 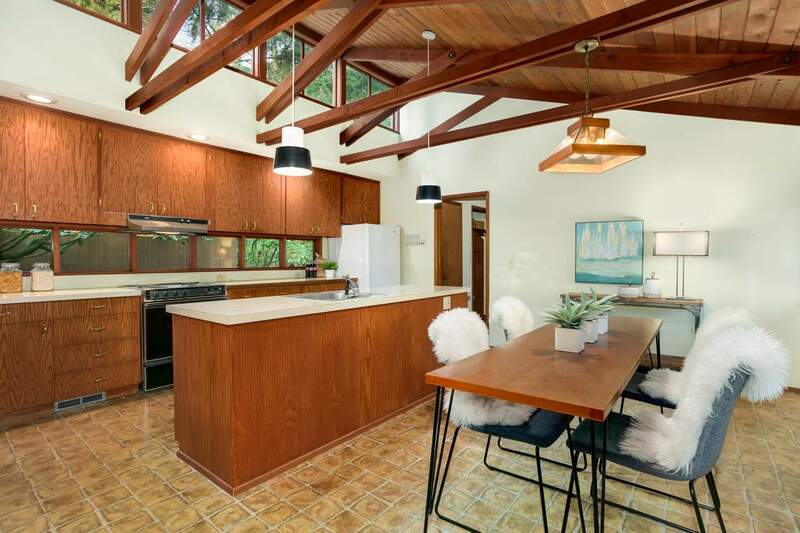 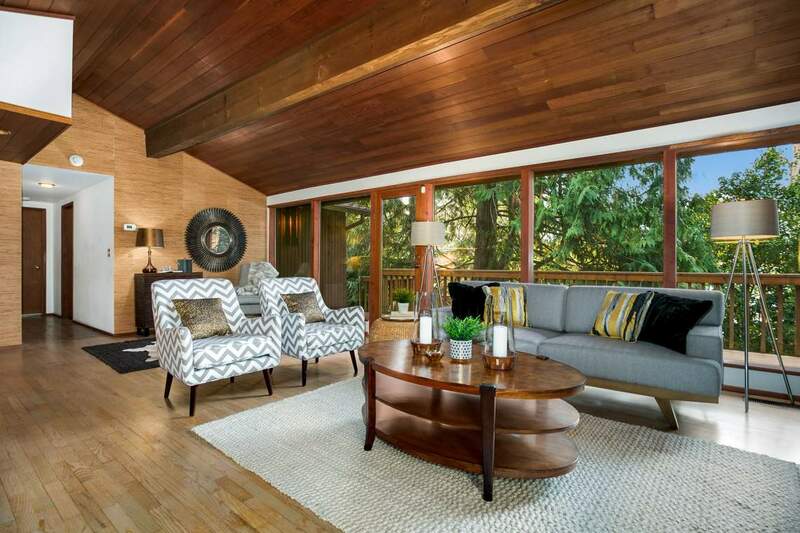 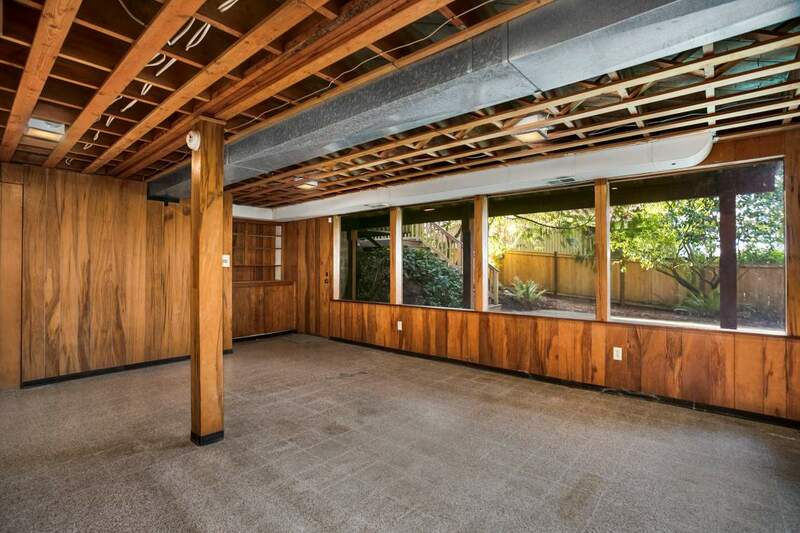 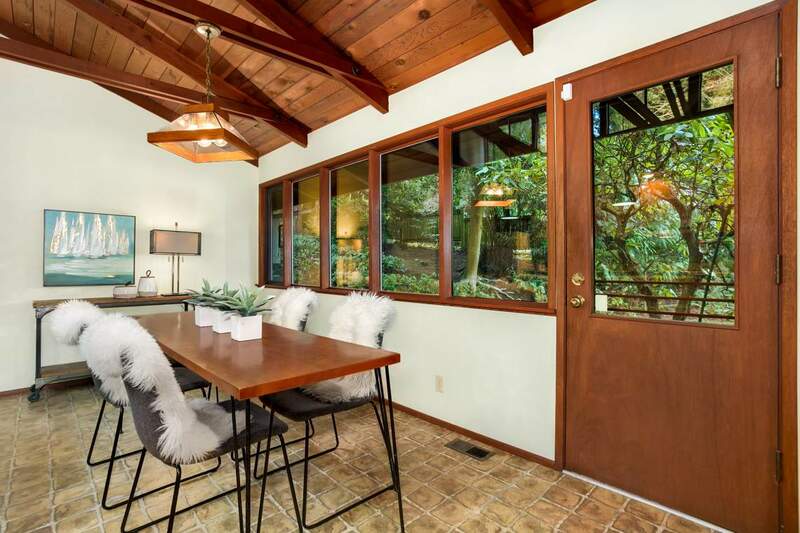 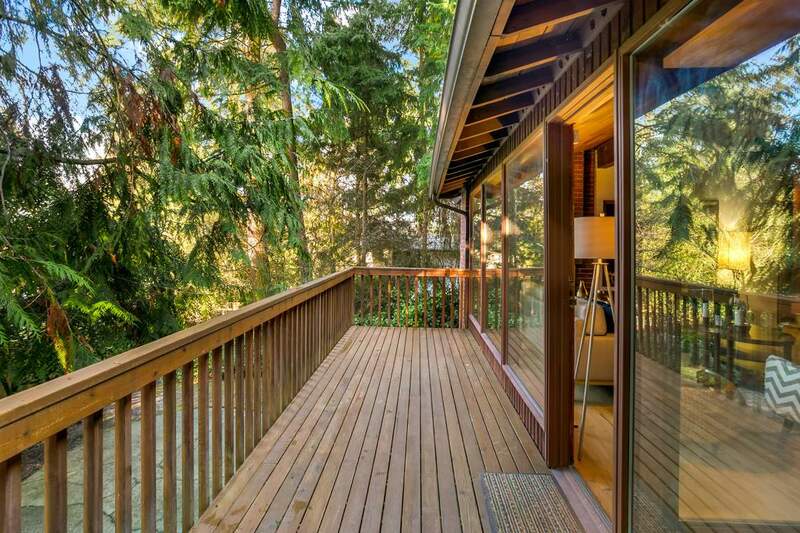 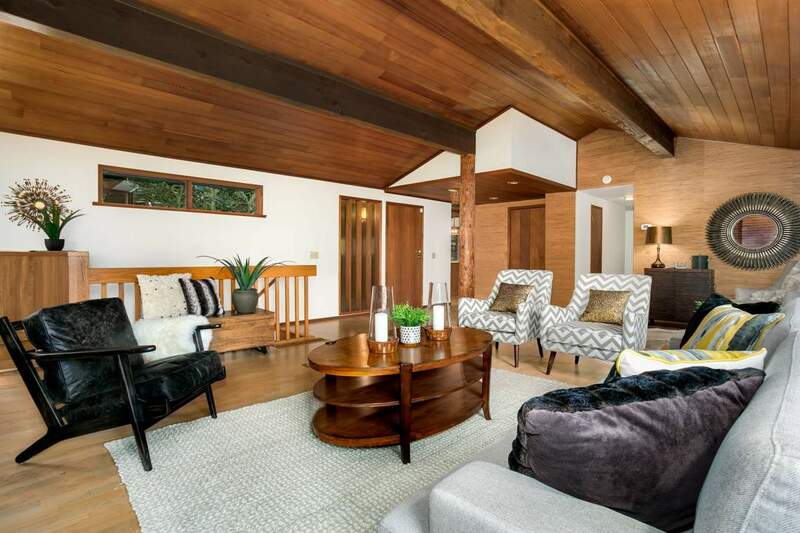 Here’s your opportunity to live in a wonderful mid-century home in the coveted Holly Hill Dr neighborhood. 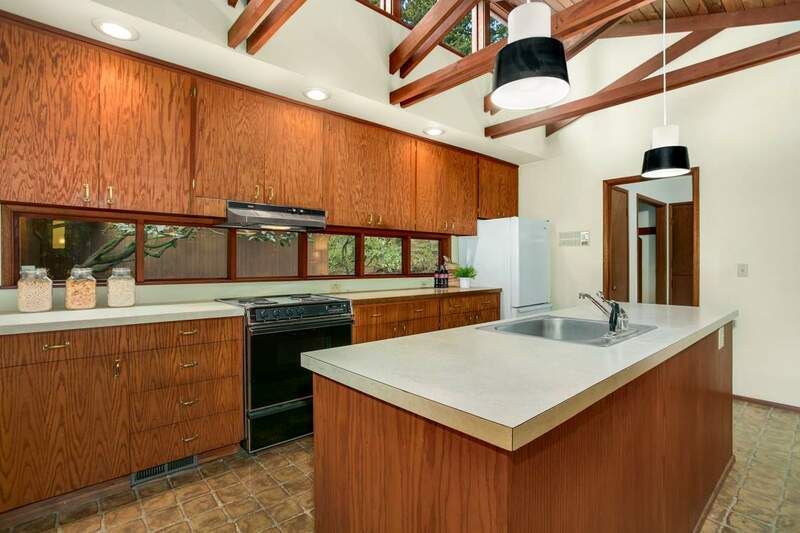 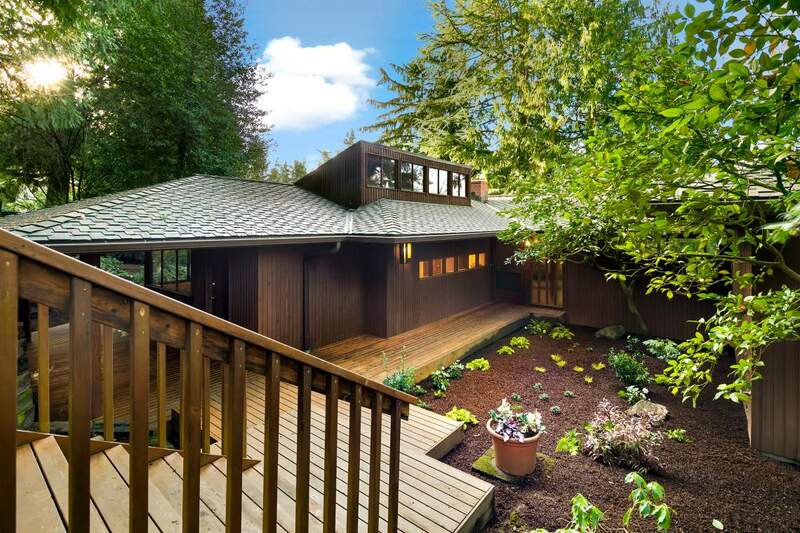 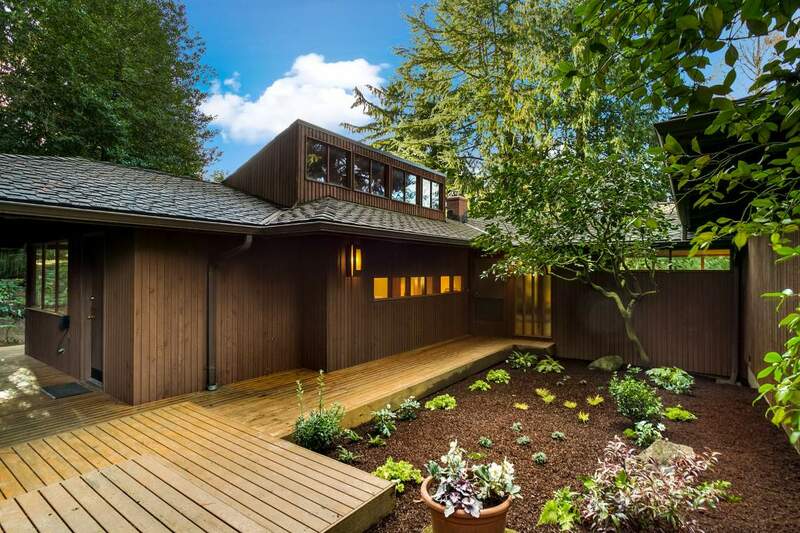 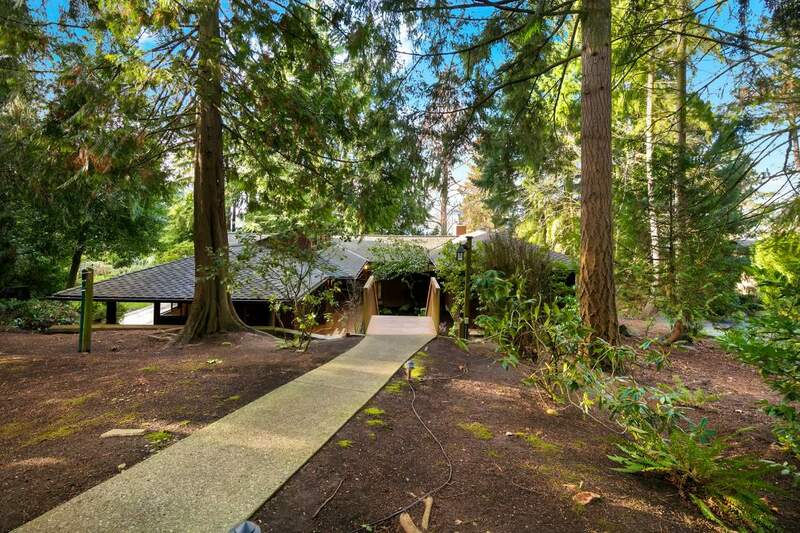 Nestled on over half an acre, this lovingly cared-for home was designed for indoor-outdoor living and features warm woods throughout; vaulted, open-beam ceilings; and clerestory and full-length windows. 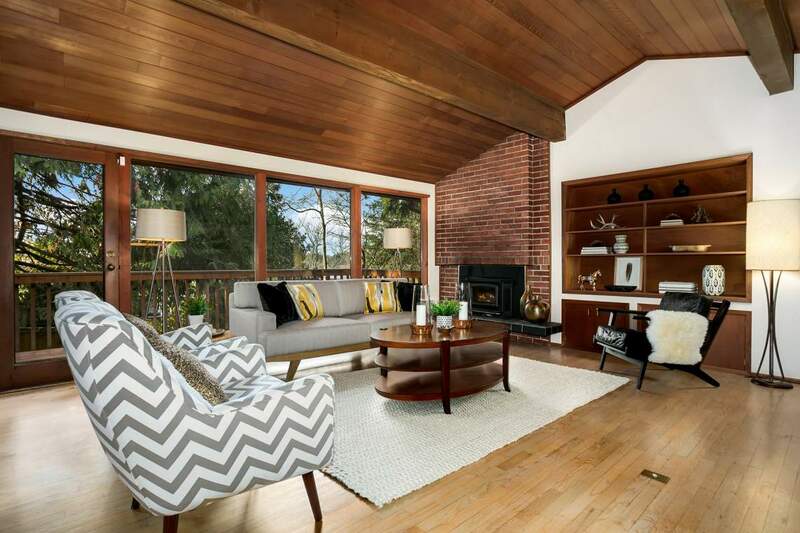 Gather with friends in the living room alongside the cozy brick fireplace – warm hardwoods complement the lush green surroundings. 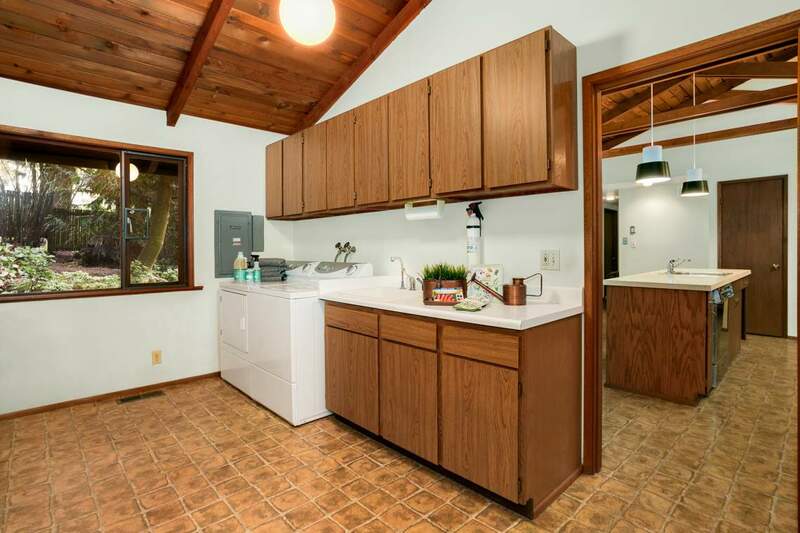 An inviting kitchen and dining area are located just around the corner, along with a mud room with a separate outdoor entrance for easy delivery of household items and groceries. 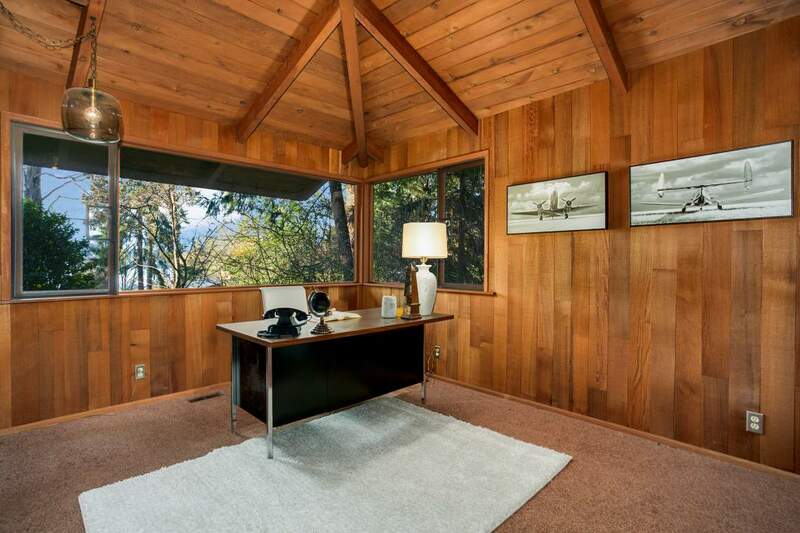 Catch up on work with peek-a-boo lake views in the office. 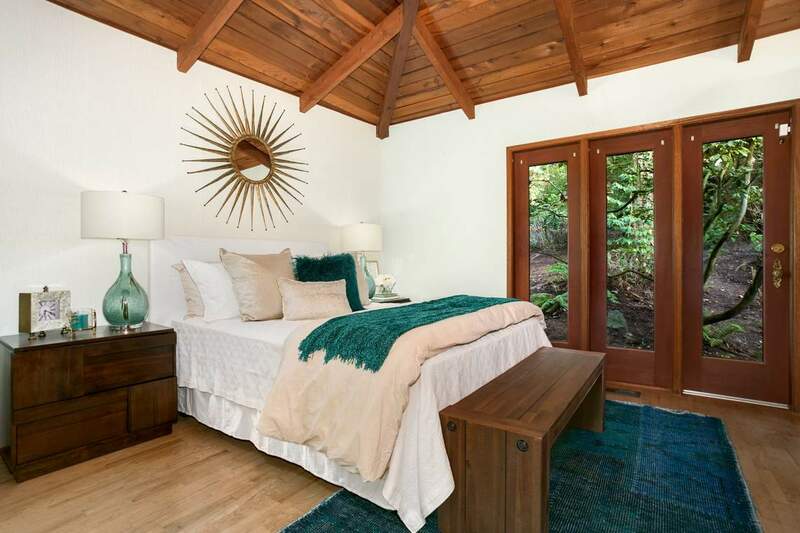 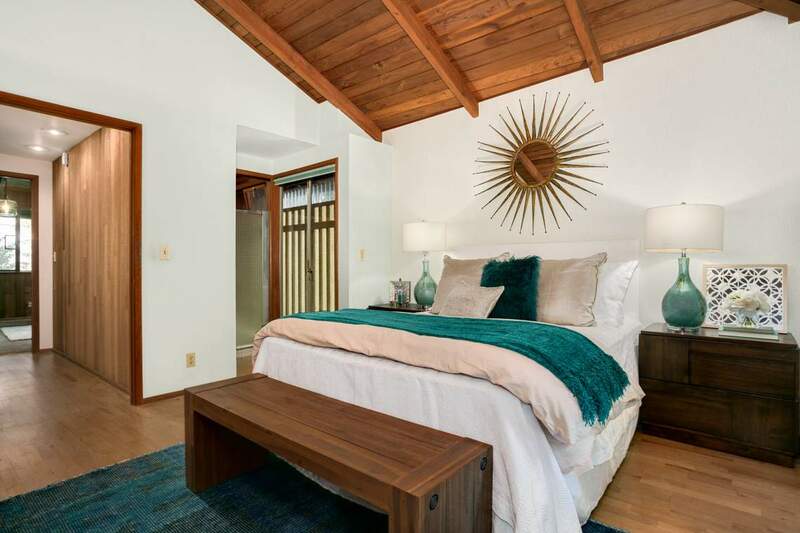 At the end of the day, the master bedroom is a peaceful retreat with vaulted ceilings and en-suite bathroom. 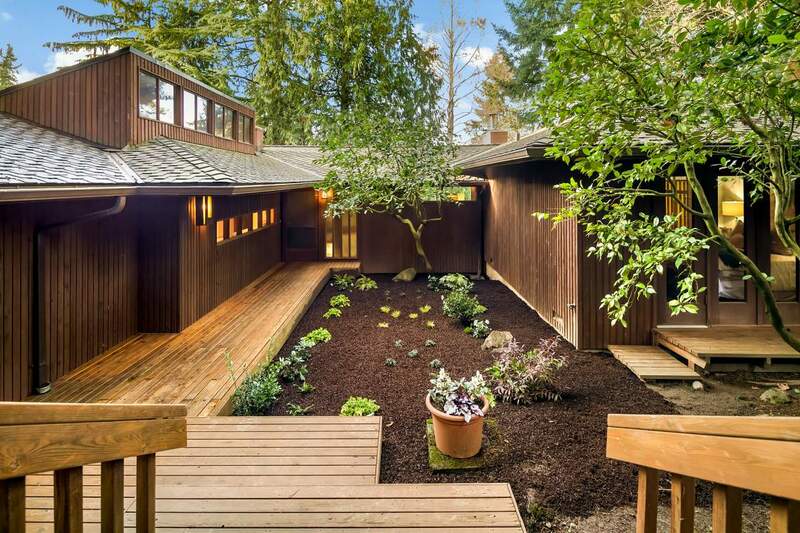 A garden door and full-length windows showcase the surrounding greenery. 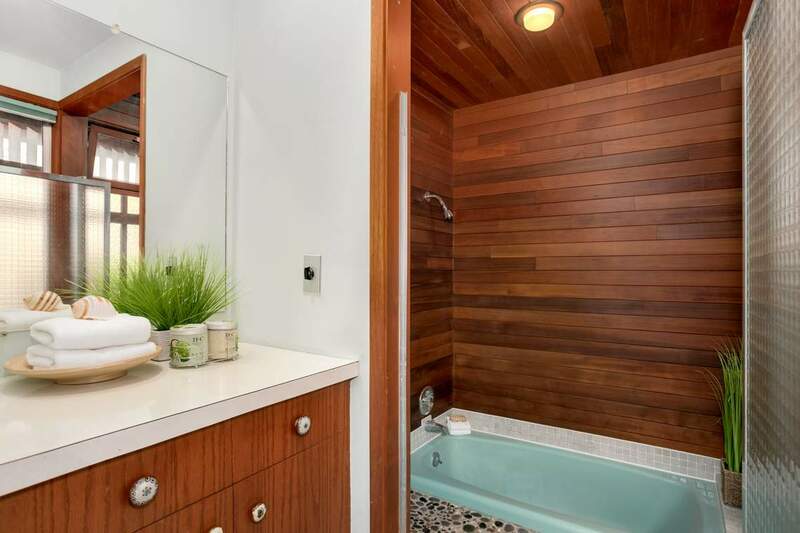 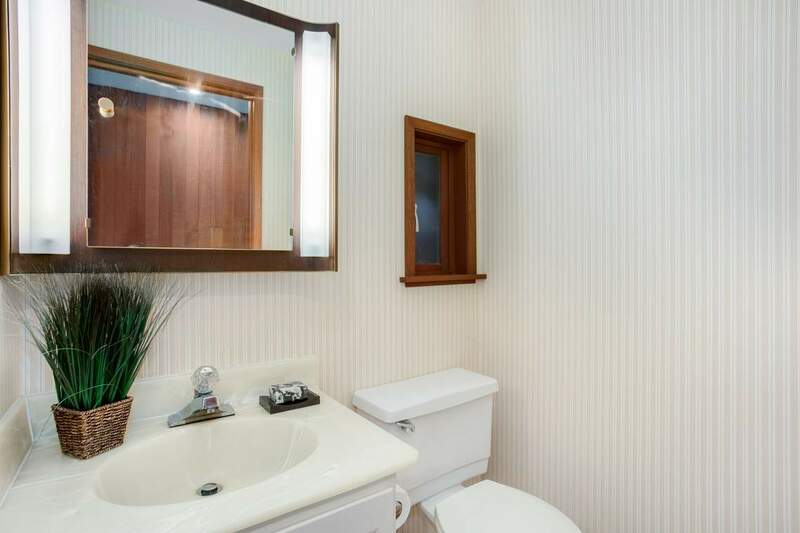 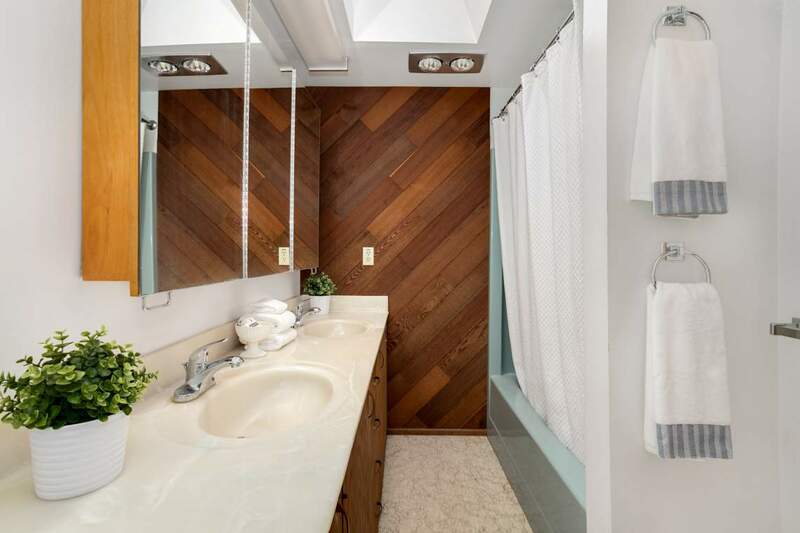 Two additional bedrooms are located on the main level along with another full bathroom with a double-sink vanity. 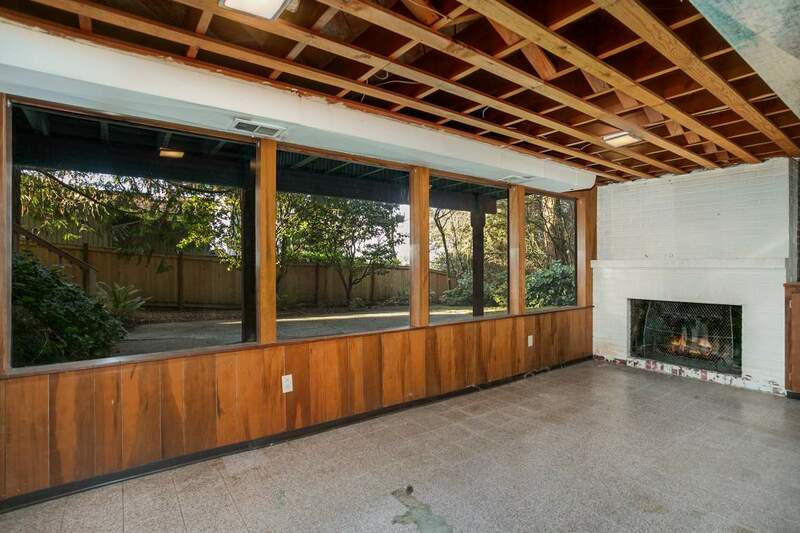 Possibilities abound in the huge lower-level family room with adjoining workshop area. 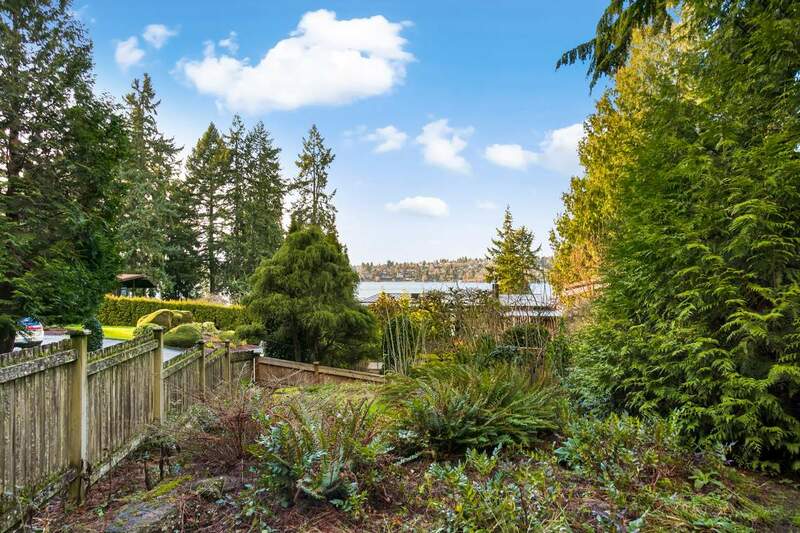 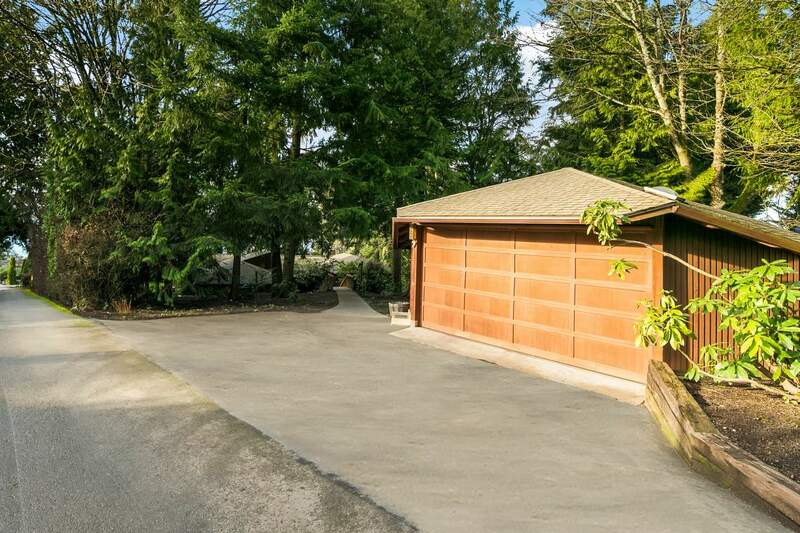 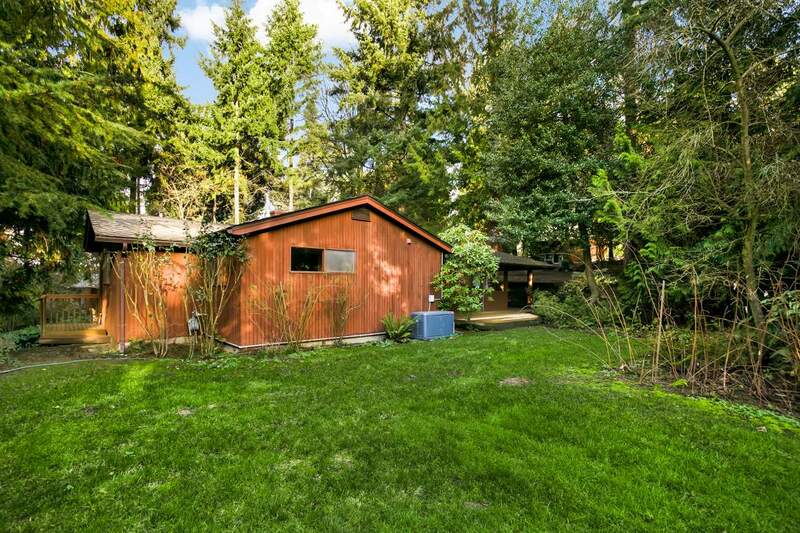 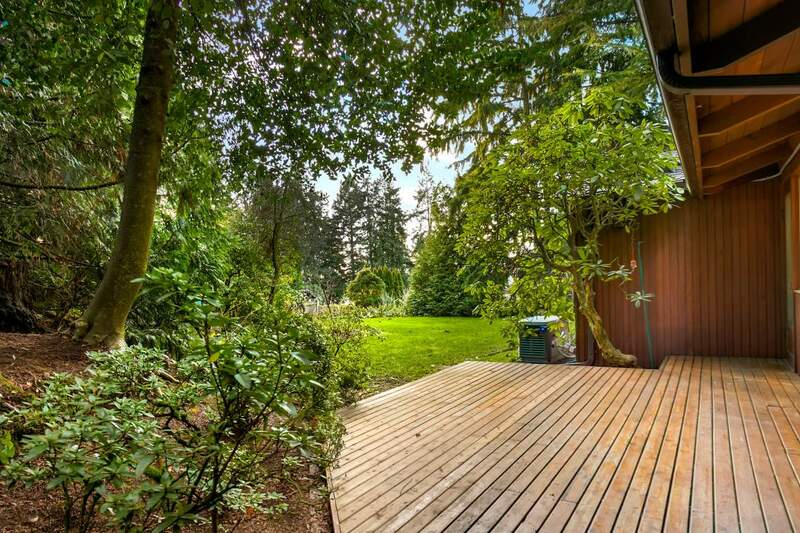 The Holly Hill Drive neighborhood is located off West Mercer Way on Mercer Island’s serene South End, close to parks, schools, shopping, and Starbucks.